I’ve been collecting some of the seeds that I want to replant for next year-rattlesnake beans, giant marrow, Japonica corn, giant pumpkin, scarlet runner beans, sunflower seeds, tomato seed from my 2.11oz tomato, cosmos, and zinnas. Ones I won’t take are cucumbers, most tomatoes, zucchini, winter squash, and peppers as I grew several of the same varieties and they could of crossed and I might loose the original strain. 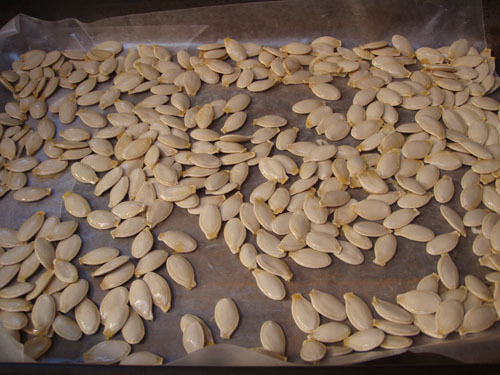 When saving big seeds like squashes or pumpkins, be sure to thoroughly DRY the seeds before putting them in a zip-loc baggie or jar. Any hint of moisture will ruin them. I just put the cleaned, wet seeds on a piece of wax paper on a cookie sheet in a dry sunny place until dry. That way they will release from the wax paper after they are dry. I always like collecting seeds every year. It’s fun when you plant them the following year. It’s also fun when you don’t have to buy a packet of seeds for $2.49 with 20 seeds in them when you can collect the same seed and get 100’s more. I have a friend (Fran) who walks and collects the wild flower seeds and broadcasts them on her property and the her natural garden this year looked awesome. (Did I tell you that Fran?!) Awesome! 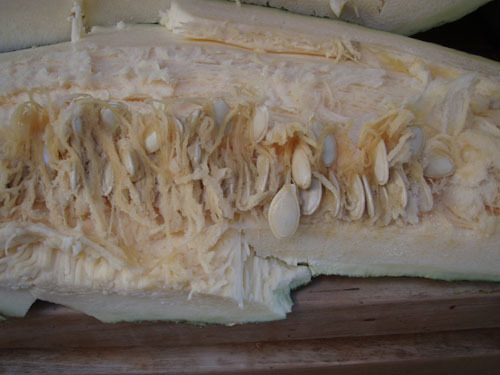 This entry was posted in general, GIANT VEGGIES-OTHER, marrows, SEED SAVING, squash tips, SUMMER SQUASH, WINTER SQUASH and tagged giant marrow, saving squash seeds, SEED SAVING, seeds.